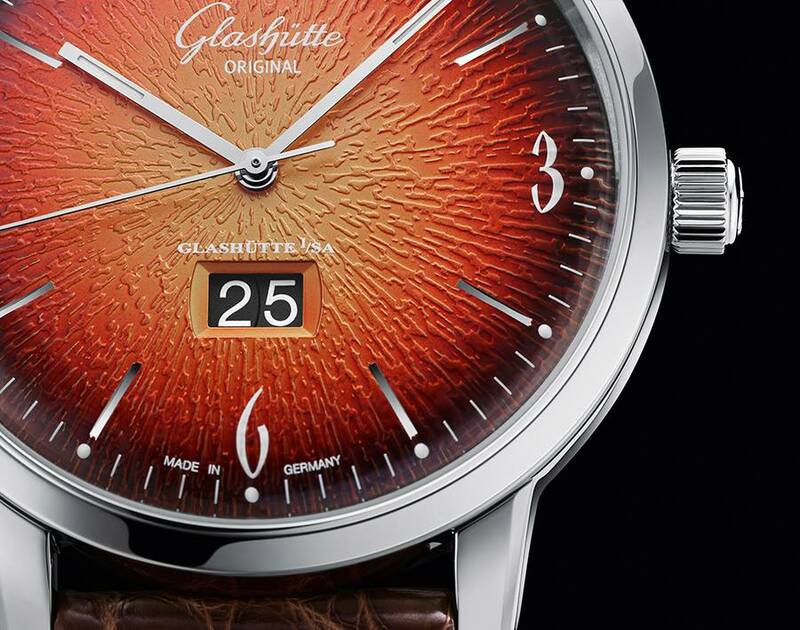 Glashütte Original Our new Sixties and Sixties Panorama Date in fiery orange! Our new Sixties and Sixties Panorama Date in fiery orange! Idiosyncratic and yet stylish this holds true not just for the details but for the dial as a whole. Starting from a golden yellow at the centre, the colour flows across the curved surface, changing to fiery orange and red before reaching the black perimeter. The result is luminous vivacity, warmth and energy. Credit for this impressive ensemble of different hues also known as the dégradé effect goes to the experts at Glashütte own dial manufactory in Pforzheim.